A B V F E S T I S 5! Friday 06 & Saturday 07 September 2019. If you've joined us before, thank you - it wouldn't be the warm and friendly beer festival we love without you. 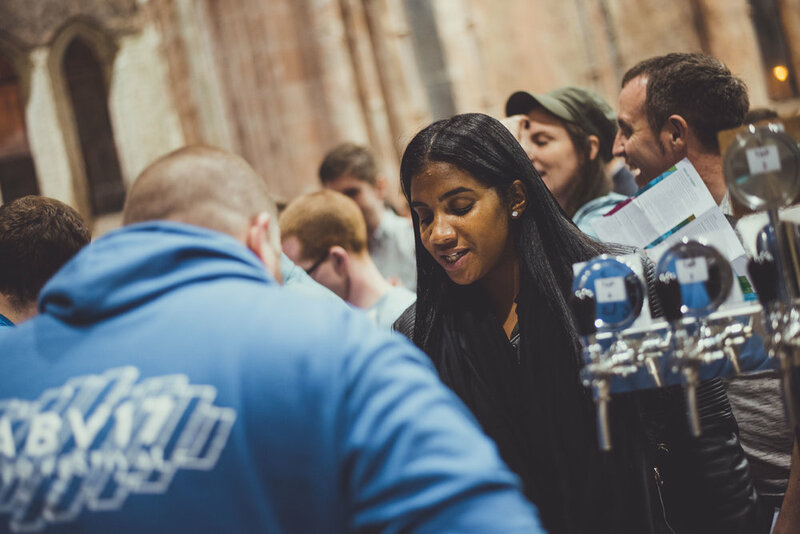 If you're planning your first ABVFest session, we’re looking forward to meeting you! We’ve always believed that great beers should unite and divide. Most important of all, they should be shared and enjoyed with friends, and strangers who might become friends, under a very special roof. We want to say thanks for being quick off the mark and getting your tickets in good and early! a 1/3 beer pour, and a branded pencil and beer list. Over 18 event only. IDs will be checked. 3 sessions. We love it when you’re happy! Our mission is still the same - to share exceptional beer and great local food in a special location. And on that note...Carlisle Memorial Church is home again in 2019! We love that beautiful big room. the Belfast Buildings Trust to make it home again. as we get closer to the festival. Keep a close eye on Facebook, Instagram and Twitter. And let's not forget food - we’ll have great local producers on hand, indoor and outdoor, to sort out your munchies. Keep an eye on our social media for updates on this year’s foodie line-up. of you missed out in previous years. We've got a discount code for the first month of ticket release in April so make sure to get your #ABV19 tickets in ASAP! on social media - we'd love to hear from you! ‘The organisers and volunteers at ABVFest have excelled themselves. the venue could really cope with and no crazy queuing times. Copyright © 2019 ABV19 Beer Festival. All Rights Reserved.